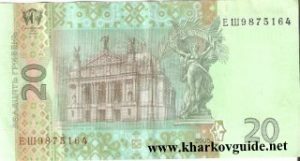 The first coins were pressed in 1993 however due to the state of the economy and hyper inflation the release was delayed until 1996 when it officially replaced the previous currency – the karbovanets. 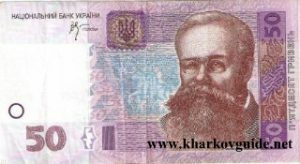 The currency has had a bumpy ride since its launch, the intial exchange rate with the U.S Dollar was USD1=UAH1.76 in 2008 the currency suffered from the Asian financial crisis and was valued at USD1=UAH5.6 the Hryvnia remained stable until late 2008 when it dropped to USD1=UAH7.8 after the global economic crisis took hold. 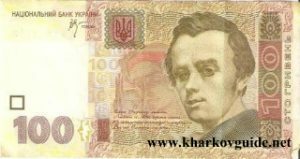 Mnay Ukrainians had little faith in the new currency, the collapse of the USSR caused many trusted banks along with deposits to dissappear overnight and from the mid 1990’s to the mid 2000’s most Ukrainians preferred to deal in Dollars or even Euros for non official transactions. 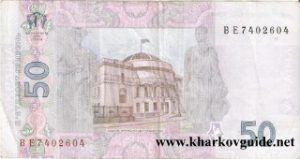 The situation has changed in recent years as the global economic recession has devalued almost all major currencies, the Hryvnia is now seen as safe as any other money. 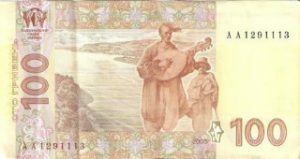 While banks and credit companies exist in Ukraine and many places now accept payments by plastic, it is still very much a cash country. When many people lost their life savings after the collapse of the USSR, trust in almost all financial institutions was destroyed – the subsequent festering corruption within Ukraine has not helped to change the minds of the typical cautious Ukrainians. People just don’t trust banks like their western counterparts and even the recent interest rates of above 10% have done little to change things. It is not uncommon for employed individuals to withdraw their wages on payday and store it at home. Credit and debit cards are more accepted now than a few years ago, but even in city centres the preferred method is still cash and in towns/villages cash is often the only acceptable payment method. Most large hotels, upmarket restaurants and casinos will accept plastic but it is always advisable to carry cash. Credit card fraud is rife so avoid letting waiters etc take the card out of sight. Travellers cheques can be exchanged at some banks as long as a passport is shown as proof of identification. A small fee is applied. 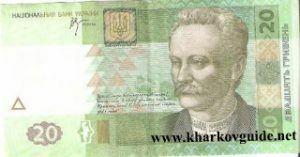 It advisable to check which banks will accept your cheques prior to travelling to Ukraine. Is a visa to Ukraine required?